Since the publication of Pilgrims in the Rough: An Unreliable History of St Andrews, Michael Tobert has become a familiar face on the St Andrews literary scene. His brilliant first novel, Cryptogram, resonates with fans of literary, historical, and science-fiction alike with its genre and time defying narrative. We’re delighted to welcome Michael to the bookshop to celebrate his second novel Karna’s Wheel, a mysterious and compelling work of fiction that again transcends boundaries of genre and nationality. 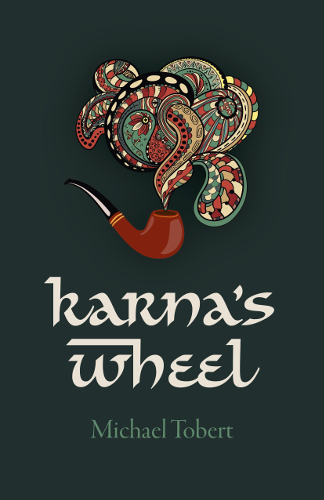 Set between pre-millennium St Andrews, the industrial underbelly of colonial Calcutta, and the epic plains of ancient India, Karna’s Wheel is a poignant story of love, inheritance, and the things which make us what we are. Join us for an Autumnal evening of St Andrews storytelling with this charming local speaker.